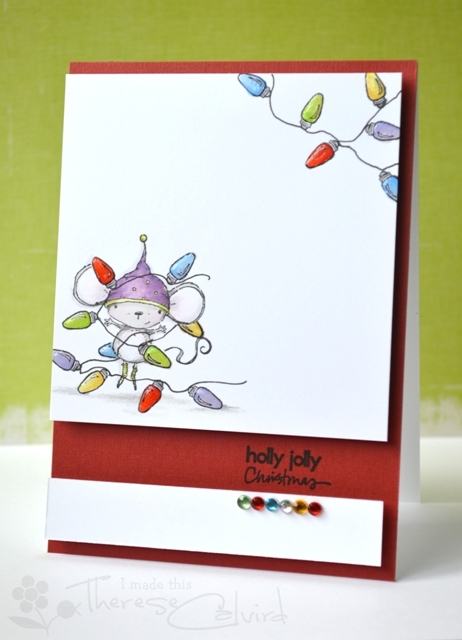 Holly Jolly Christmas for Purple Onion Designs (video)! 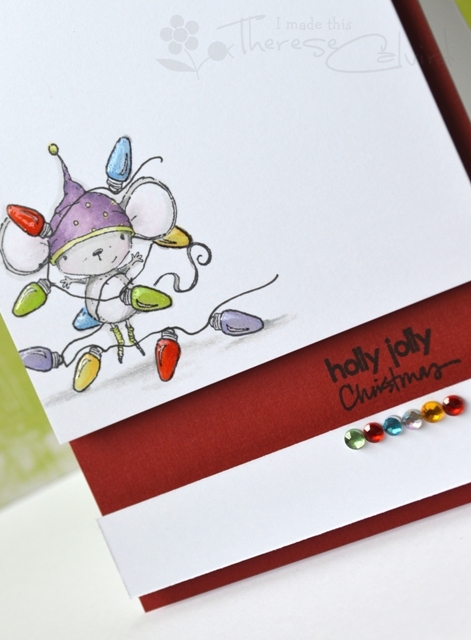 It’s time to get all Christmassy at Purple Onion Designs and today I’m sharing this sweet little mouse called Holly, only problem is she’s a bit tangled… looks like me when I get out the Christmas lights each year. I’ve linked the stamps below or you can head on over to shop online at Purple Onion Designs, there’s a new release of Wintery Stacey Yacula stamps and they really are the cutest! Hope you are having the best weekend, I’m making cards so mine is great! Other Supplies: Prismacolor Pencils – Warm Grey 20%, Cool Grey 70%. Copics – Y11,13,21. T0,2. 0. W0,2. YG00,03,23. V01,12,15. BV00,02,08. B21,24. R05,27. RV10. Assorted Rhinestones. < Previous We are having a Decorated Christmas at AnnaBelle Stamps! Next > Moxie Fab Thanks Blog Hop! Made me laugh! I leave the lights alone to much bother. Hoping to get some more crafty time too! Enjoy. I love your design on this card, too and the multi-colored gems are the perfect touch! Off to check out your video! Perfect….loving these sweet images and the cards you make featuring them Therese! Can I just say you are a complete genius! I thought the stamp came like that with the little mouse all tangled up in the lights, but no, you the master card maker created that! I’m in awe….in awe. Therese, again a wonderful card and a great video. I love your combination of Holly and all of these little lights! Looks like ONE stamp (ans a second in the top corner).